Chief Nerd and President at Nerd Enterprises, Inc.
Seth David is the chief nerd and President of Nerd Enterprises, Inc. which provides consulting and training services in Accounting and productivity based software. Consulting services range from basic bookkeeping to CFO-level services such as financial modeling. Running an ecommerce business—especially running it with some semblance of efficiency—is incredibly difficult. You have to stay focused, of course, but you also need to be on as many sales channels as possible for the search engine benefit. And there’s your own website, of course, but then you also need to think about expanding into Amazon, eBay, Walmart, Groupon … any number of places where your product will be in front of your target customer. It seems silly to say, but this is all hard. Really, really hard. It’s a special Catch-22, because the more sales channels you have, the more there is to manage. And why are these the two keys to success? Efficiency for your ecommerce business is worthless if the information is inaccurate or incomplete. You can’t just plug in numbers to push through accounting and reconciliation! 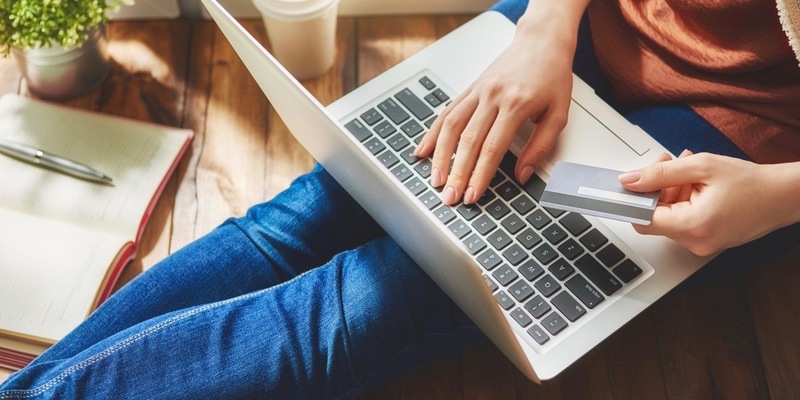 So when implementing a reliable, efficient system for your ecommerce business, you want to make certain that you won’t miss a single transaction or processing fee. This is critically important so that when you run your balance sheet and profit and loss, you know everything is there. You’ll know your gross profit is accurate—and, in the future, when it looks off, you or your bookkeeper can research and fix it. Knowing with certainty that your information is complete will allow you to track down issues through simple audits and error corrections, plus make reading the tea leaves of your numbers wildly easier. With all that said, let’s get to the system! Before anything else, make sure you get your accounting software right. You have many options for accounting software, and any of them work for your business. Some accountants prefer some over others (this writer, for instance, is a fan of QuickBooks Online, which we’ll go forward with as our example here). Whatever you choose to work with, make certain that the accounting software or application you use for your business has detailed reporting—especially given that the goal of the system we’re putting together here is completeness and accuracy. Now, let’s get off to the races. The first thing you need for overhauling the efficiency of your ecommerce business is a master SKU list. This might seem obvious—but it isn’t as plain logic as you think. Less obvious still is the form it needs to take. Your Master SKU List is how your accounting database is able to talk to your sales channel databases. In a perfect world, you’d have a single SKU for the same product no matter where it lives. This isn’t realistic, though. Some sales channels require SKUs to take on a certain form. Also, you might want to have the same product on the same sales channel multiple times with different descriptions. This is a good strategy for search engine optimization (SEO). As a result, you’ll need to be working with multiple SKUs for the same product on the same sales channel. Here’s the difference: Your accounting software has to have only one SKU per product, but your Master SKU List is where you’ll map your products from your accounting database to each of your sales channels. Each version of the same product across all sales channels will be repeated in your Master SKU List, alongside the single SKU with which it correlates in your accounting database. By doing it this way, all you’ll need is a simple lookup to get from the SKU that sold on a sales channel to the SKU that it goes with in your accounting software. If you need an app to manage your Master SKU List, you can try Smartsheet, which will get the job done. 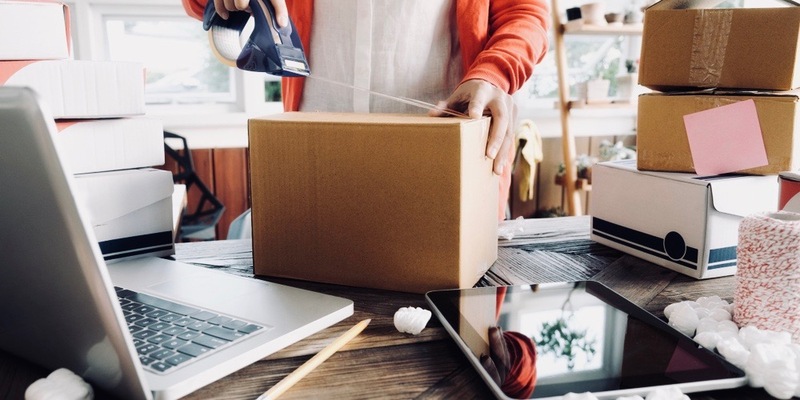 The more sales channels, products, and sales you have, the more important it’ll become to run your ecommerce business efficiently. You’ll need a sync tool that makes it easy to get the sales from your sales channels into your accounting software. The process can be cumbersome if you don’t use the right one, or plain inaccurate if you try a workaround. One tool can do it, and really well. Plus, it’s very reliable. Webgility Unify will link it to as many sales channels as you have. You can connect your payment methods (Authorize.net, Stripe, PayPal, etc. ), and Unify is able to push the sales perfectly into QuickBooks Online, with the fees deducted properly, so everything nets out and reconciles perfectly. We’ll warn you: Efficiency doesn’t come free. Or for that matter, even cheap. Webgility Unify is $150/month, and you have to request monthly pricing if you want it. But consider the value of the time you’ll save by not having to manually enter transactions, or clean up a messy import? Time, after all, is money. When Webgility Unify pushes a sales receipt into QuickBooks Online, it needs to know where to put the underlying payment. In other words, whatever that total payment is, less the fees, has to land somewhere. In QuickBooks Online, the default is to put the payments into Undeposited Funds. From there, you can record deposits into PayPal, Stripe, or directly into your bank account as the case might be when Authorize.net is your processor. Here’s the important part: Do not use Undeposited Funds. You’ll wind up with a long list of payments that now need to be manually deposited into the appropriate clearing account. And, especially for ecommerce businesses doing a lot of volume, this is highly inefficient—the exact opposite of what we’re trying to accomplish. Use a separate PayPal account for each sales channel, and a separate Stripe Account for each sales channel. This keeps things clean. All clearing accounts get reconciled to $0.00 each month. You may be left with some payments in transit that get swept to your bank account early in the following month. Amazon gives you a biweekly settlement report. We do not use Unify for this, because Unify doesn’t let us distinguish sales that shipped vs. sales that haven’t. You’re only funded for the sale that shipped, so this creates a mess in the accounting. Here’s a process around getting that settlement report cut up very quickly into something that can be imported into QuickBooks Online in a few minutes. As you’ll see in the video, this relies on the Master SKU List as well as a pivot table, available in this custom template, which you can purchase. Using this method to get your sales in, and then recording these transactions as transfers from Amazon to your bank account, will allow this clearing account to reconcile itself perfectly. There’s a secret to reconciling the Authorize.net activity. It’s a simple method very similar to the Amazon process. Here, you pull the activity from your Authorize.net account, and you can use a similar custom template, available to buy here. You’ll see in the video that in seconds, you can generate a report showing the exact amounts that were deposited each day. Then by double-clicking an amount, you can see each sale that made up that total. This will give you a clear audit trail of everything that was included in very single batch, and exactly how it ties into your daily deposits from Authorize.net. PayPal used to be a nightmare to reconcile. Now it isn’t. You can log into your PayPal account and get a monthly statement. Get the CSV version, which will open in Excel. The CSV makes it very easy to reconcile like any monthly bank statement. An additional tip: Make sure you sort the Excel file first by date, then by time. This ensures that the running balance is in perfect order so that the very last line shows the right ending balance. That’s what you key in when you’re ready to reconcile. Stripe works just like PayPal, minus the ability to pay things from it. Reconcile it to zero each month, as described above, and it should reconcile very easily each month. When you sell on Amazon, Amazon is the shopping cart and the online store. The same is true for eBay, Walmart, or Groupon. Another you might use is Shopify, which lets you target customers in other places they might be spending time, like social media. These are ones that are not only known for working well but also can be configured with Unify if you’ve committed to working with it. Plus, if you’ve built your site in WordPress, you’ll certainly want to consider WooCommerce—they have lots of plugins you can use for lots of products, plus memberships, product bundles, drip campaigns, and more. For about $300, you can have everything you need set up in your website. Get Your Ecommerce Business Going—Efficiently! This is a lot, certainly. This guide is meant to act as a resource to help you set up your ecommerce business to run in the most efficient way possible. Efficiency won’t help you without accuracy and completeness. Get accounting software with very in-depth reporting (here, we used QuickBooks Online). Create a Master SKU List (Smartsheet). Find a sync tool for all sales channels (Webgility Unify does it like no other). Put in place a proper accounting setup in your chart of accounts (Clearing Accounts). Learn how to reconcile each of your clearing accounts (ensures accuracy and completeness). Set up a shopping cart (for those who sell on your own website). Make sure to watch the video for a detailed walkthrough of it all! Should I Use an Unsecured Business Credit Card for Business Spending?